The department/category price matrix allows you to override the sell prices for price levels outside the ranges used by Office Brands based on category and markup. 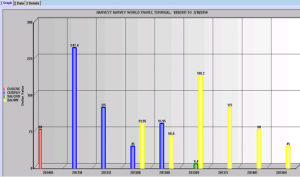 Readysell can produce Charts in summary that extract by Transaction Code by Period the Dollar Value for each transaction type for the date range selected. This Chart is colour coded for each transaction code for each Period in question. 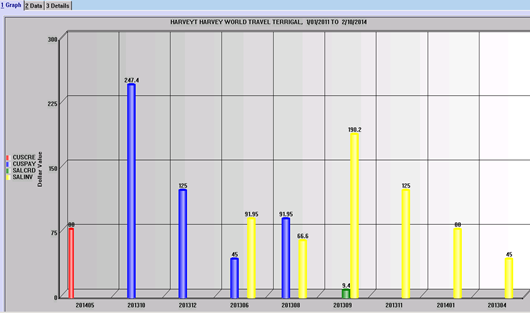 The periods are displayed across the bottom of the Chart. 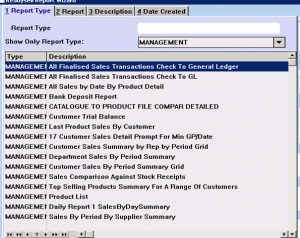 Readysell generates Graphs for Business Intelligence by Product Category in summary for Total Dollar for the Period for the following criteria’s – Sales, Stock on hand, Stock Aged by Last Sale, Sales Percent of Wallet. 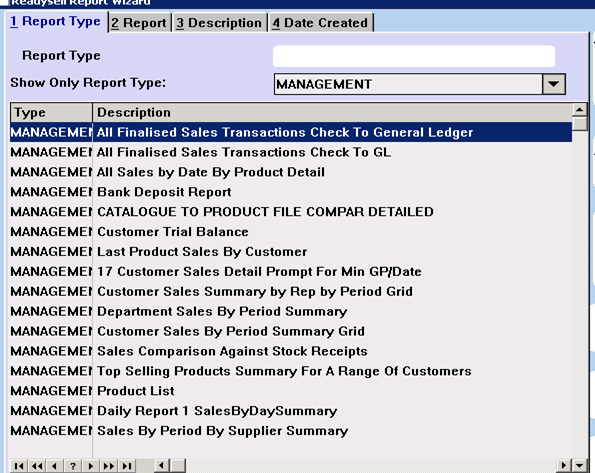 There is a standard set of Readysell Reports that can be run and exported to either Excel, CSV. Readysell has a feature now to allow you to select an alternate delivery address when placing Purchase order straight from the supplier to the customer. Readysell now has a feature to allow you to ‘Disable Catalogue Cost Price Update’ on Products before loading a catalogue. If the flag is set to True, this product cost price will not be uploaded when the catalogue is loaded. If the Flag is set to False, the product cost price will be uploaded when the catalogue is loaded. A query filter pop up box has been added to allow users to eliminate and filter selections when inserting a Purchase Order. Most customers have already received the update. If you are yet to receive these new features, please contact Readysell Support to be fast-tracked in the upgrade cycle.